This was undoubtedly one of the best and most exciting string sessions we’ve done this year. It was amazing to have the opportunity to collaborate with Drum and Bass duo Sigma AND Take That on such a great track, ‘CRY’. Here’s a clip from our recording session at British Grove on April 27th, 2016. Strings Arranged by Rosie Danvers and performed by Wired Strings. String session Produced by TommyD, Engineered by Jason Elliot and Recorded at British Grove. 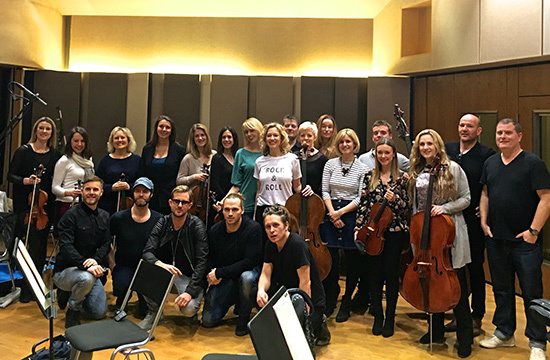 Take That, Sigma, TommyD and Wired Strings after recording ‘CRY’ at British Grove, April 2016.